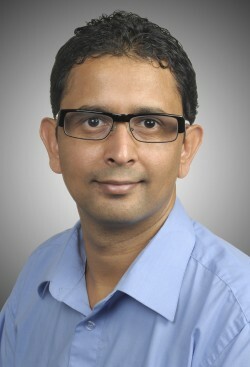 This is Hari P. Paudel, a postdoctoral researcher in the group of Prof. Mark I Stockman at the Center for Nano-Optics at Georgia State University, Atlanta, GA. I received my Masters in physics from the Tribhuvan University, Kathmandu, and Ph.D. in theoretical condensed matter physics from the NanoScience and NanoTechnology Center and Department of Physics at the University of Central Florida, Orlando in 2014, under the supervision of Prof. Michael Leuenberger. A major part of Ph.D. was focused in the area of optoelectronic properties of material and applications ranging from water splitting to quantum memory and information processing. I am interested in understanding of phenomenon induced due to light-matter interactions in the materials. Specifically, my fields of interest are study of optoelectronic property of materials, quantum optical phenomenon, special light propagation in the materials effect of photon polarization in quantum memory and quantum information processing. Materials of interest are 2D layered materials, semiconductors, 3D topological insulators, layered materials and noble metals. The majority of my publications are in nanoscale physics and feature distinct bottom-up theoretical predictions with ventures for excellent practical applications. Aside from my focus on research, I have always been interested in teaching and have taught undergraduate-level courses for three years, mostly in the USA and Nepal. I have enjoyed condensing the complexity of physics into simpler pictures and ideas, which I have found encourages students to feel more comfortable in the subject. During my Ph.D., I mentored several undergraduate research students, which helped me to learn how involve undergraduates in physics education and research.